IMPORTANT: DO NOT REUPLOAD. Do Not Reupload. ABSOLUTELY NO Reuploads. Come on, get it together. You can read this, can't you? 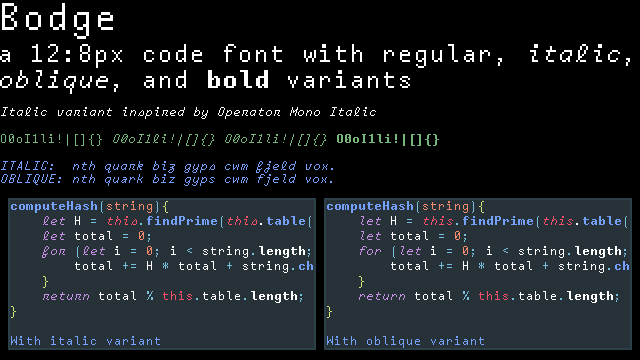 Bodge is a monospace font with both italics and oblique. The italic portion was inspired by Operator Mono, which generated quite some controversy within the font nerd community!